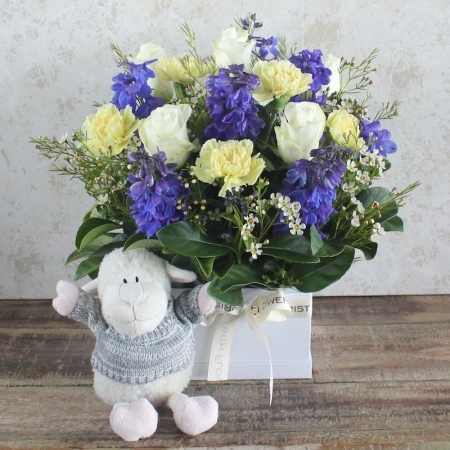 Celebrate the arrival of a Handsome Prince by sending this stunning arrangement of fresh flowers which also includes a cute soft toy Lamb for Bub. This box arrangement of fresh blooms includes white Roses,lemon Carnations and blue Delphinium and is perfect for the hospital or home. Order new baby flowers online by 2pm and receive same day local delivery.